Who is an ideal prospect to own the advantages of FaceGuard? Interestingly, while ‘we the people‘ find FaceGuard essential and fun, a business has several serious imperatives. The short version is if an online portal is key to continued growth and success, the wise business will provide customers with FaceGuard. It’s the affordable answer. Consider the company with a website offering products and services for a fee. Almost always, e-commerce requires a credit card to facilitate the purchase. The buyer is relying on the business to secure the transaction and to safeguard the user’s critical data. Woe be to anyone violating that trust with careless security. The offending entity can pay an extraordinary price in fines insurance claims, and lost credibility. 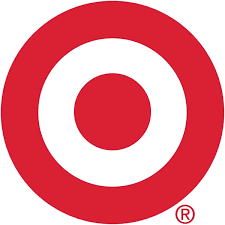 With Latest Settlement, the Cost of the 2013 Target Data Breach Nears $300 Million. The dollar amount is depressing – but the job loss in the c-suite was devastating; albeit warranted. The insurance payouts and increased premiums are a penalty cost of underestimating the seriousness of security. FaceGuard could have reduced if not outright prevented much of the damage. Predicated on Target being a FaceGuard Partner, every customer’s password is automatically and immediately replaced as soon as the breach is detected. Since each FaceGuard password is unique, the hack of Target (or any other business) would not reveal a customer’s reused codes. At best, the hacker would have an invalid password unusable anywhere else. There is no cost for password reset either (estimated at $30.00 per) because the user is authenticating via FaceChallenges. With no need to know any of the the complex strings of letters, numbers and symbols, the customer/user’s only task is to authenticate their identity by knowing their own familiar faces. On an even brighter note, since customers opt-in to stay in touch with their business Partner, they are participating in permission marketing. Learning of specially designed messages and offers which they need only tap/click to take advantage of is a powerful incentive. Unlike nearly all other media, there is no delay between the message and the ability to act on it. The business eliminates sales friction and need only concentrate on crafting genuine communication with the customer. Depending on the sophistication of the database used by the Partner, the encrypted note can reach every opt-in customer or just a single individual. Of course, discreetly appearing on the screen of their device isn’t as warm and fuzzy as a phone call – but FaceGuard secure communication is free and at the consumer’s fingertips. FaceGuard - Faces You Know Manage your Passwords Theme designed by CPOThemes.